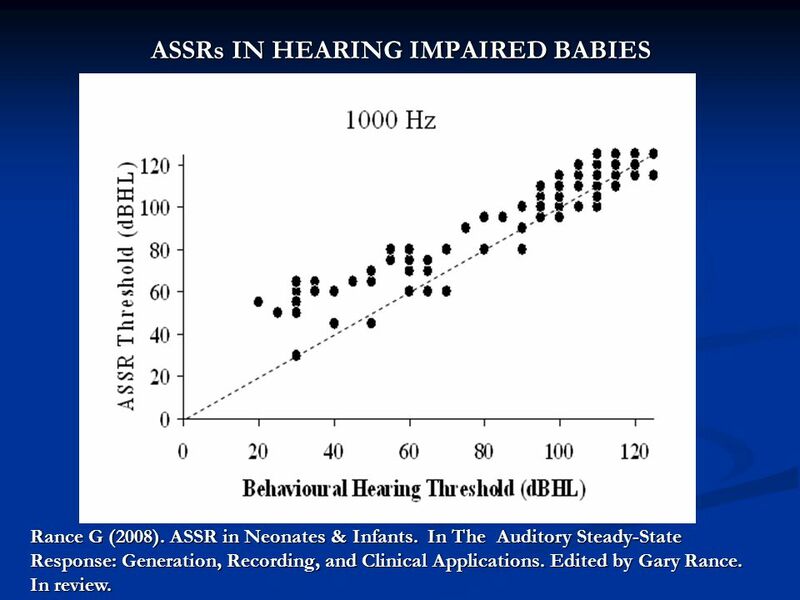 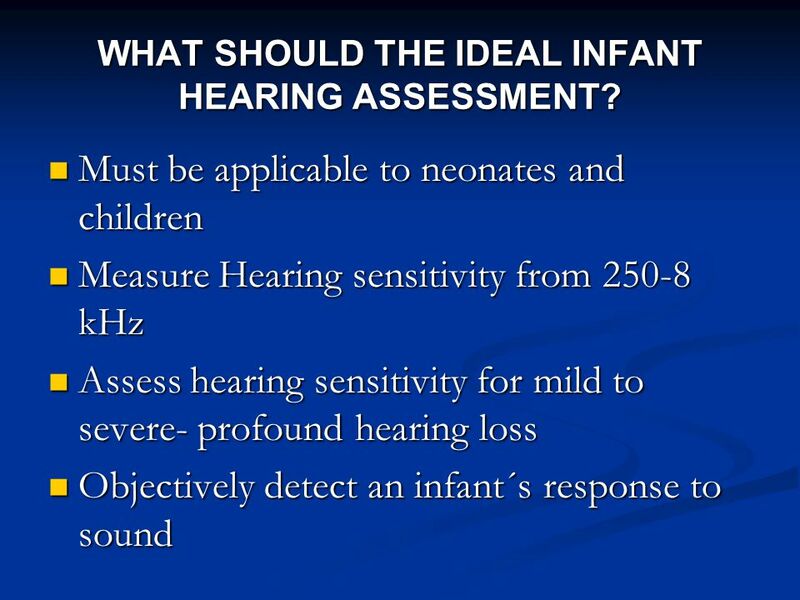 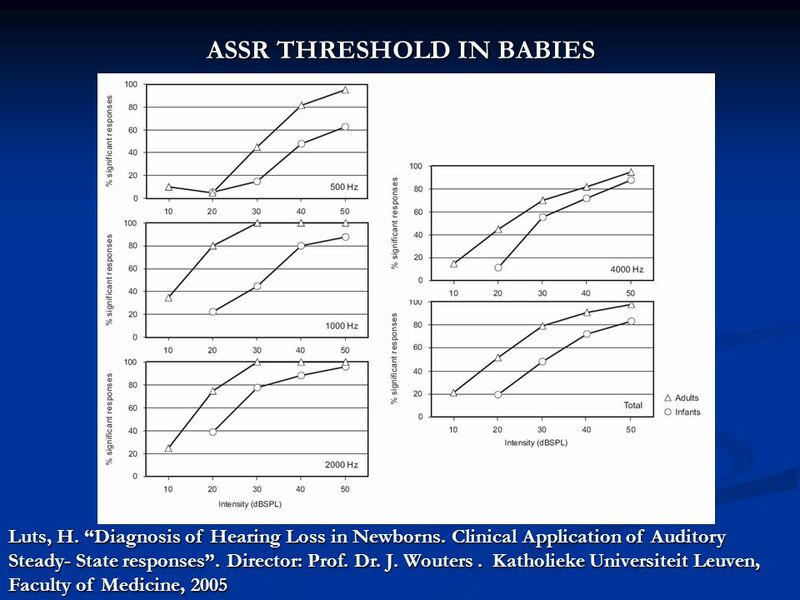 2 WHAT SHOULD THE IDEAL INFANT HEARING ASSESSMENT? 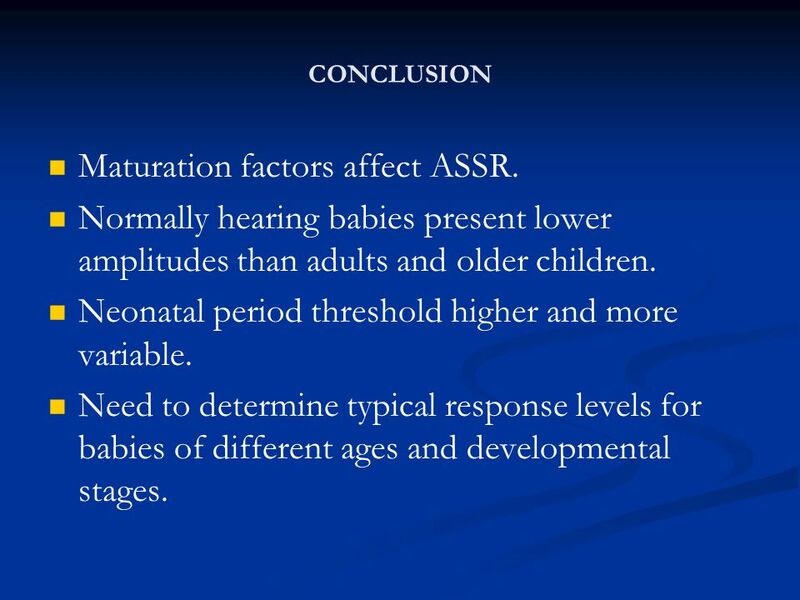 23 Maturation factors affect ASSR. 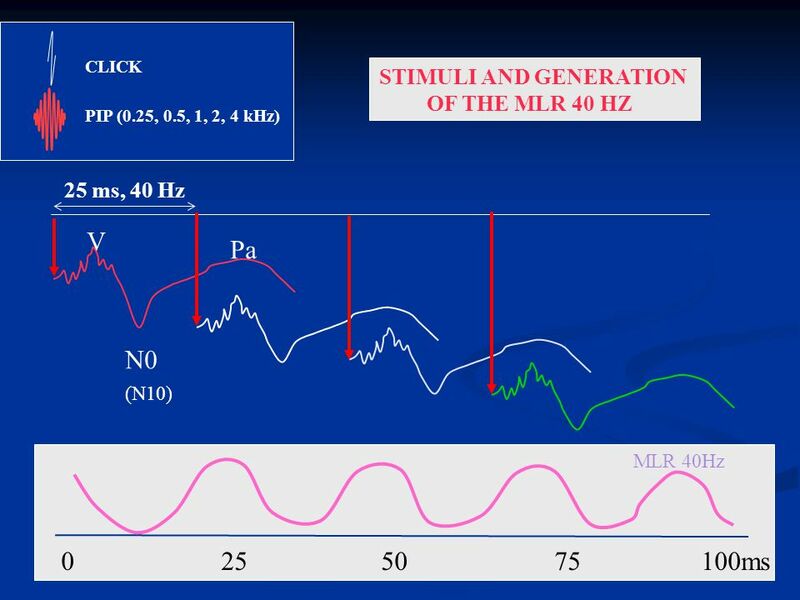 Y = 0.75X0.4 In a recent study we established this relationship.En este estudio establecemos la relacion entre la prediccion de la sonoridad derivada de las respuestas electrofisiologicas PEAee y la escala de sonoridad psicoacustica. 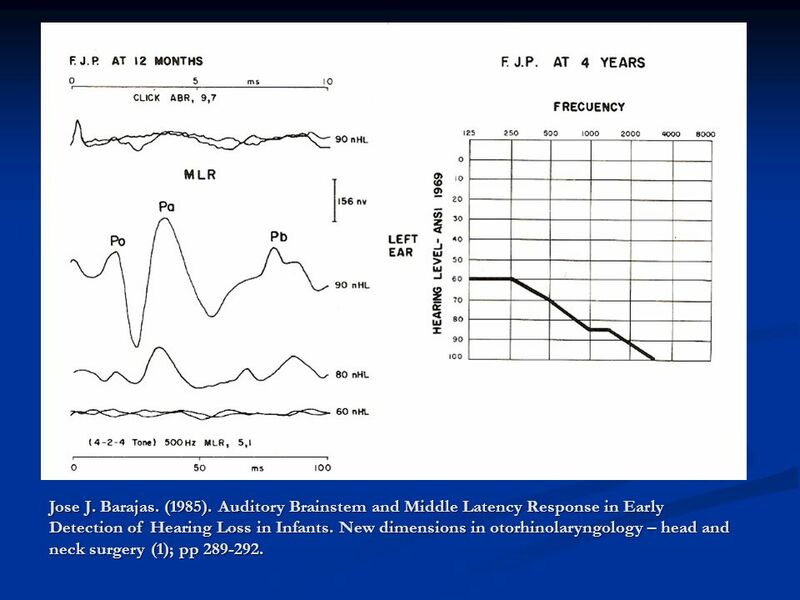 (contour Test). 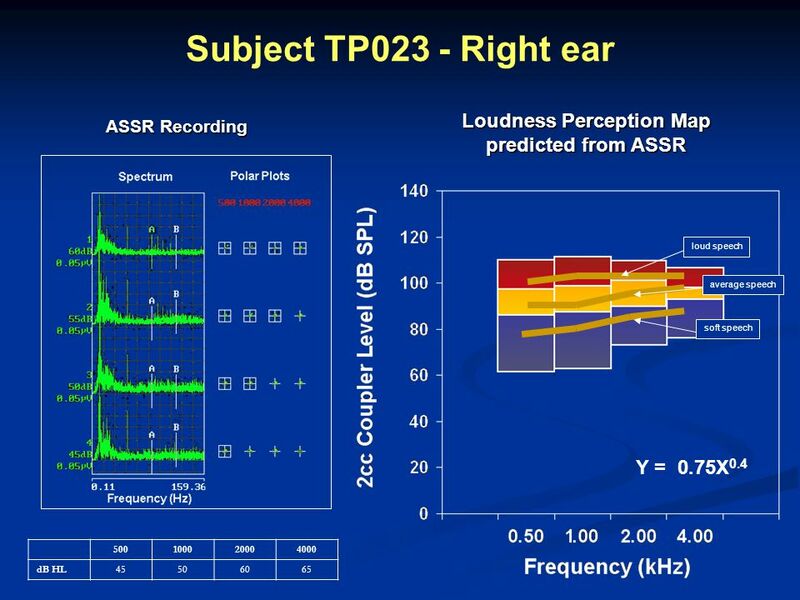 In this figure we show the subject's loudness ratings and the predicted loudness obtained from the intensity and the amplitude of the SSR. The data was adjusted to an exponential growth function defined by this formula. 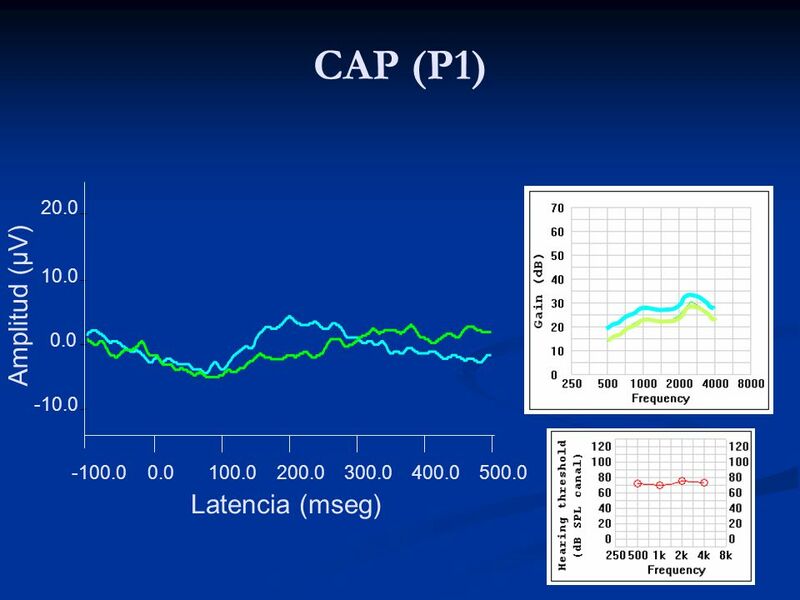 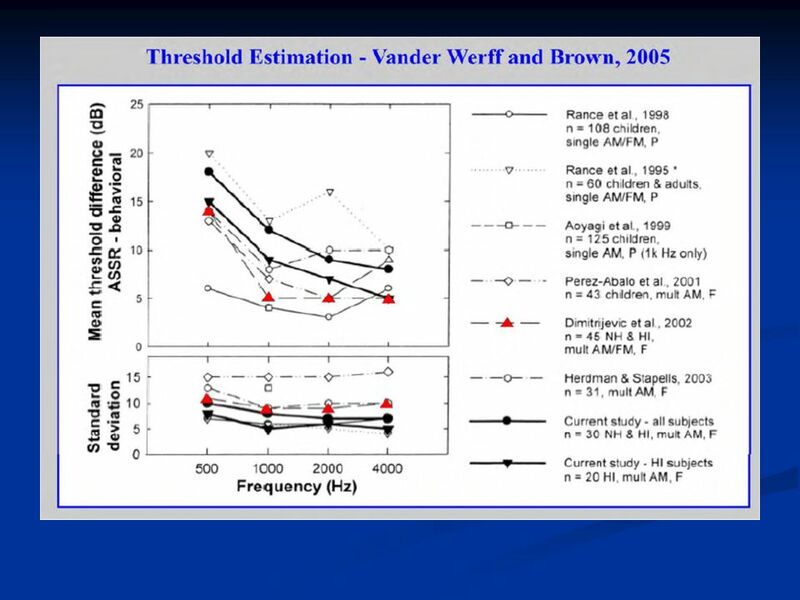 En esta figura presentamos el escalamiento de la sonoridad y la prediccion de la sonoridad obtenida de la intensidad y la amplitud de PAEee.La data puede ser representada (adaptada segun una funcion exponencial ) A significantly high correlation was found regardless of the carrier frequency. 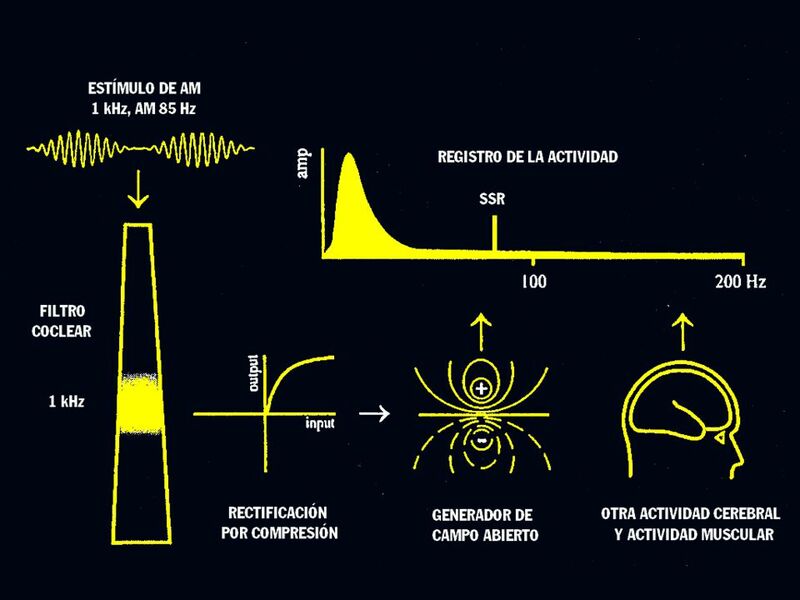 El coeficiente de correlacion fue significativo independiente de la frecuencia portadora. 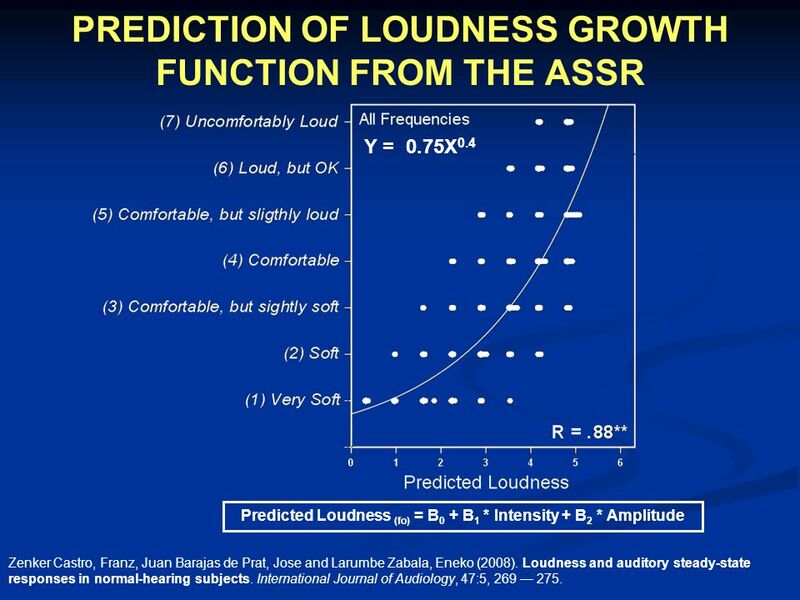 Predicted Loudness (fo) = B0 + B1 * Intensity + B2 * Amplitude Zenker Castro, Franz, Juan Barajas de Prat, Jose and Larumbe Zabala, Eneko (2008). 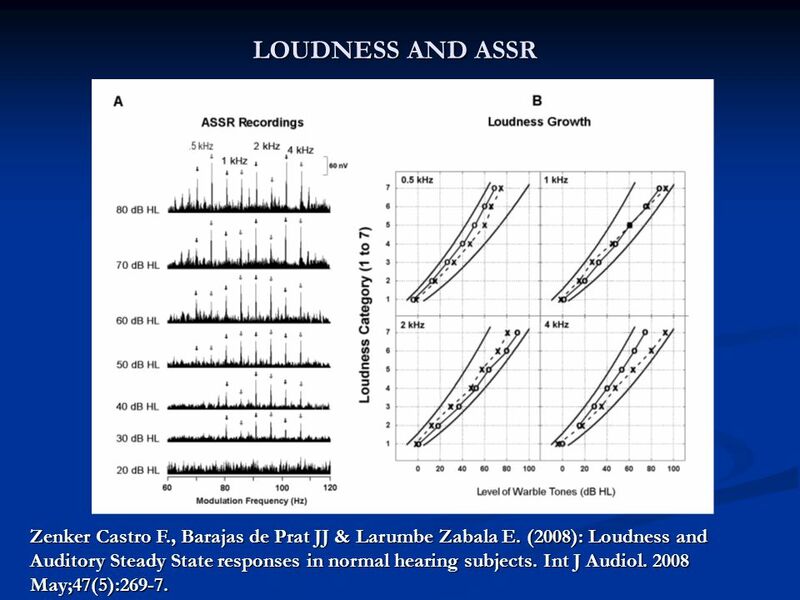 Loudness and auditory steady-state responses in normal-hearing subjects. 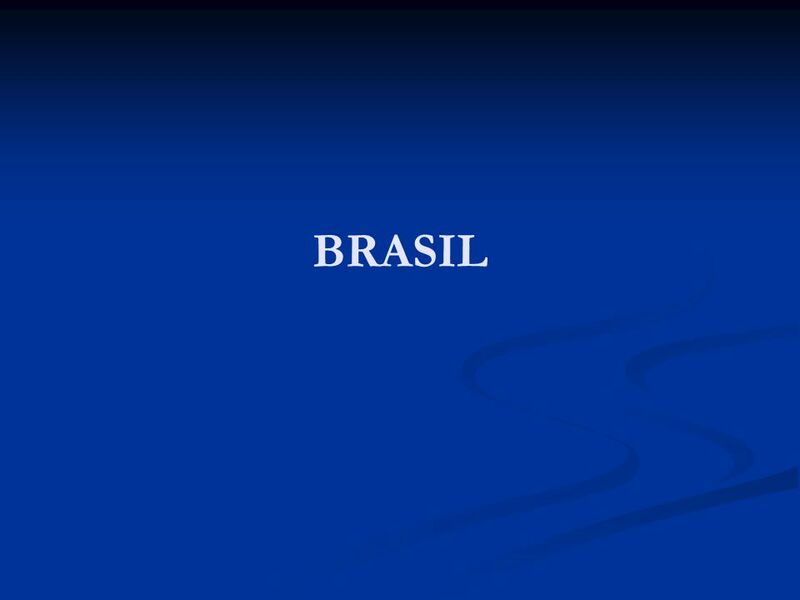 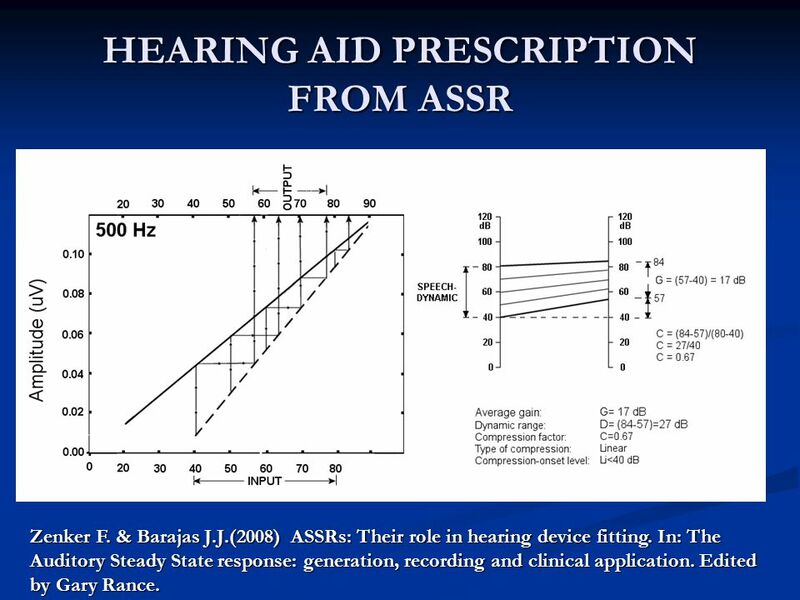 International Journal of Audiology, 47:5, 269 — 275. 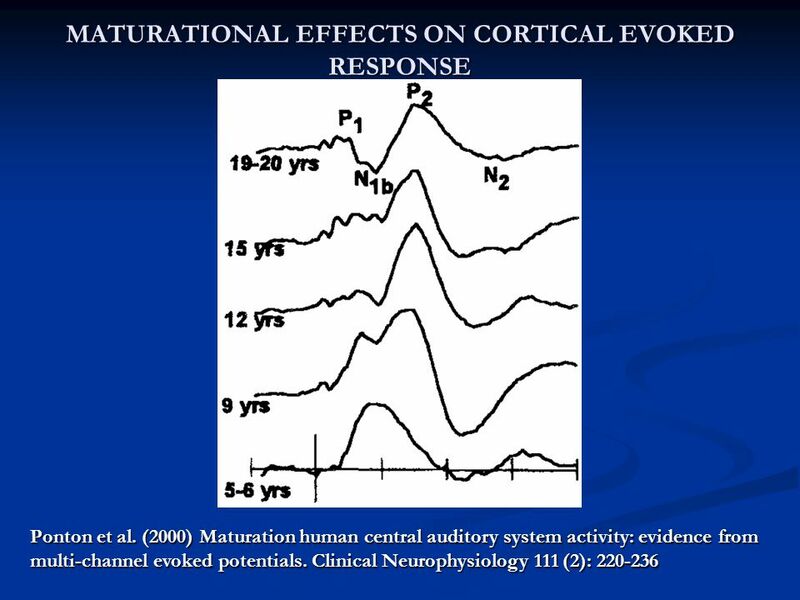 30 More likely to correlate well with perception. 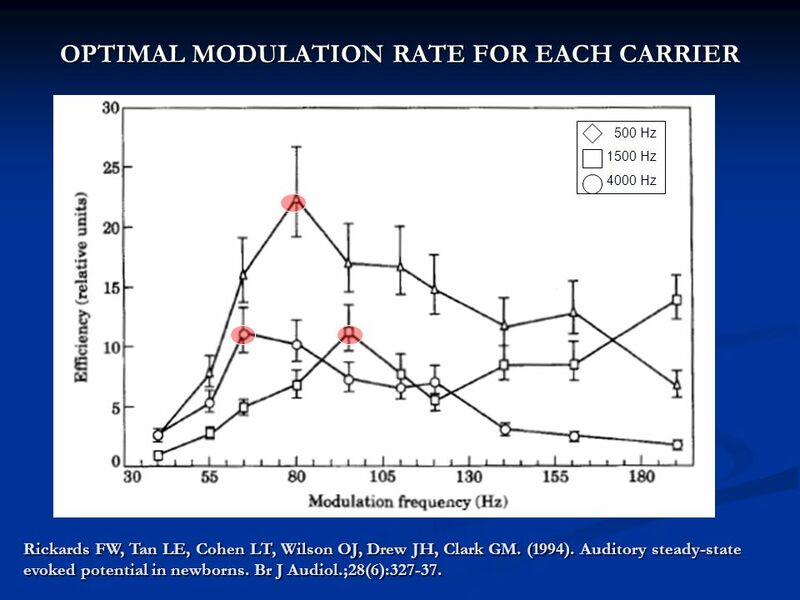 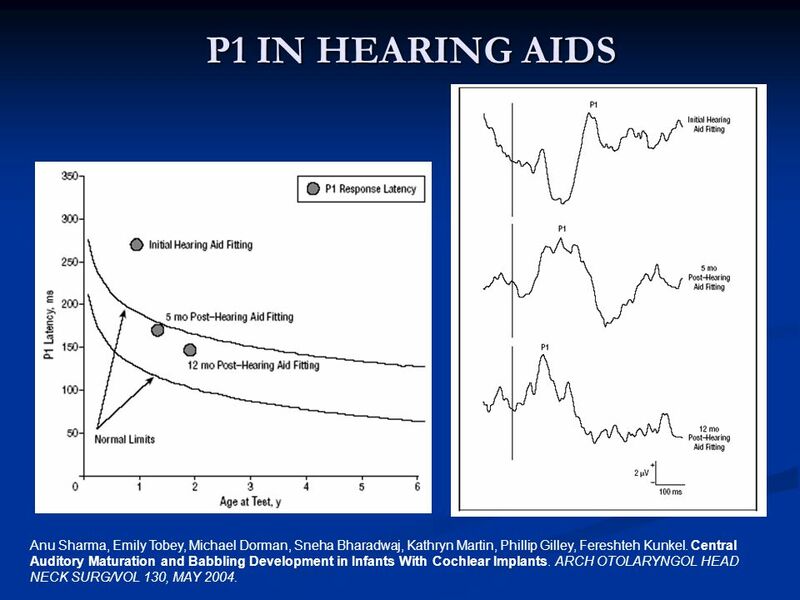 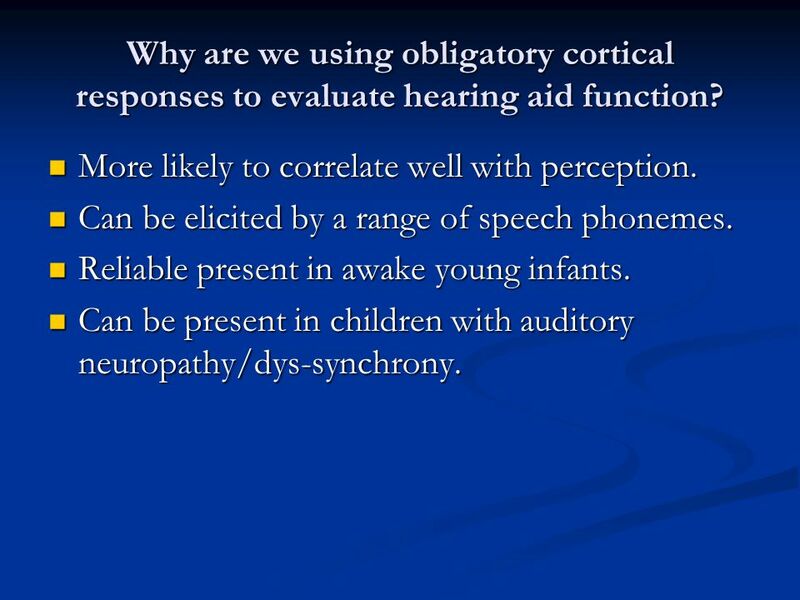 Why are we using obligatory cortical responses to evaluate hearing aid function? 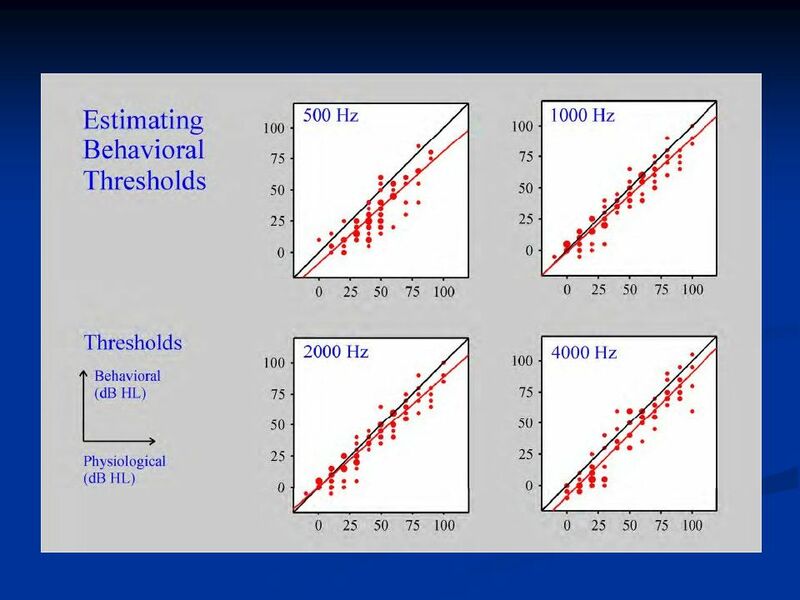 More likely to correlate well with perception. 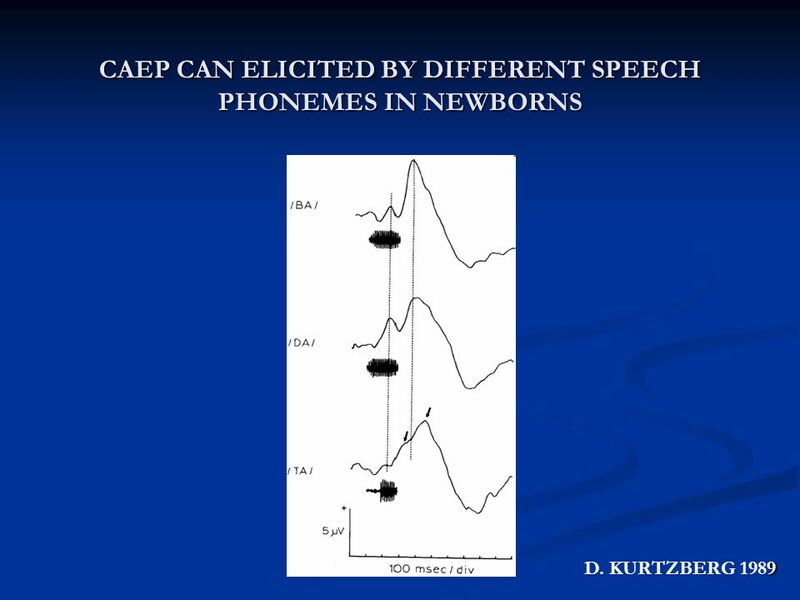 Can be elicited by a range of speech phonemes. 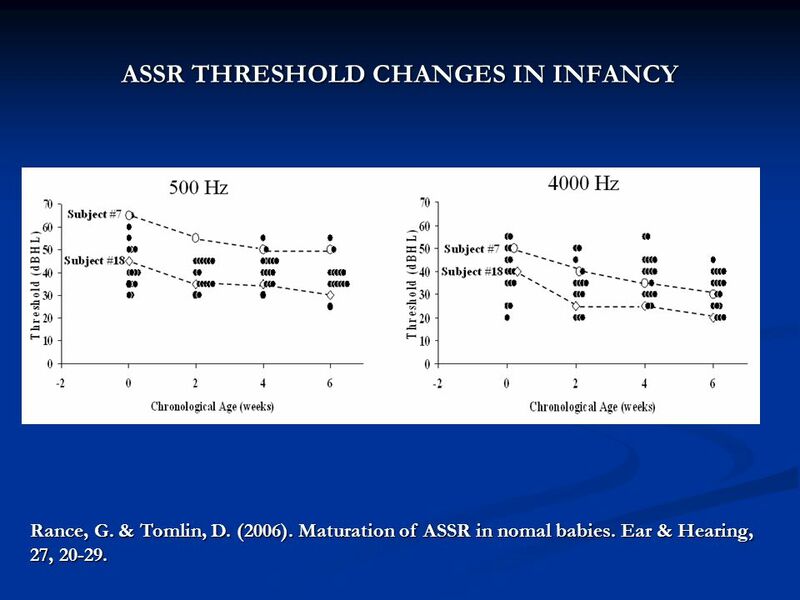 Reliable present in awake young infants. 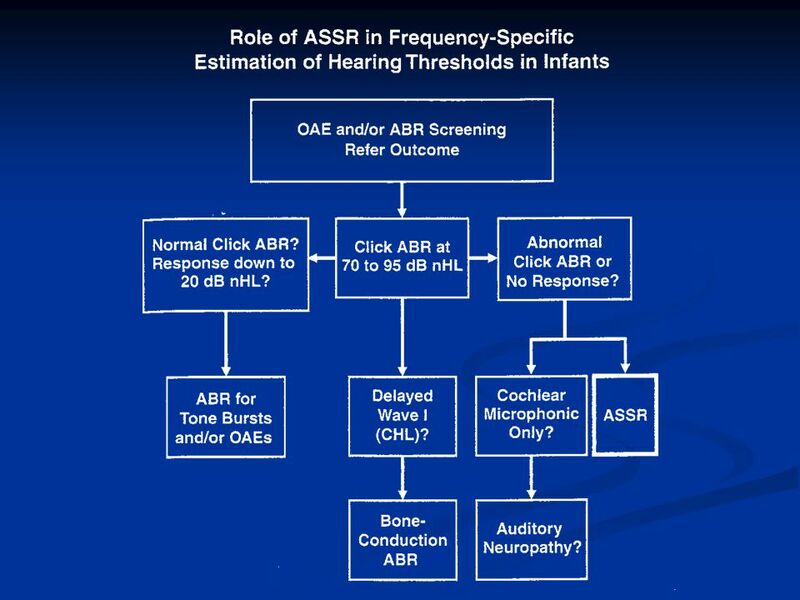 Can be present in children with auditory neuropathy/dys-synchrony. 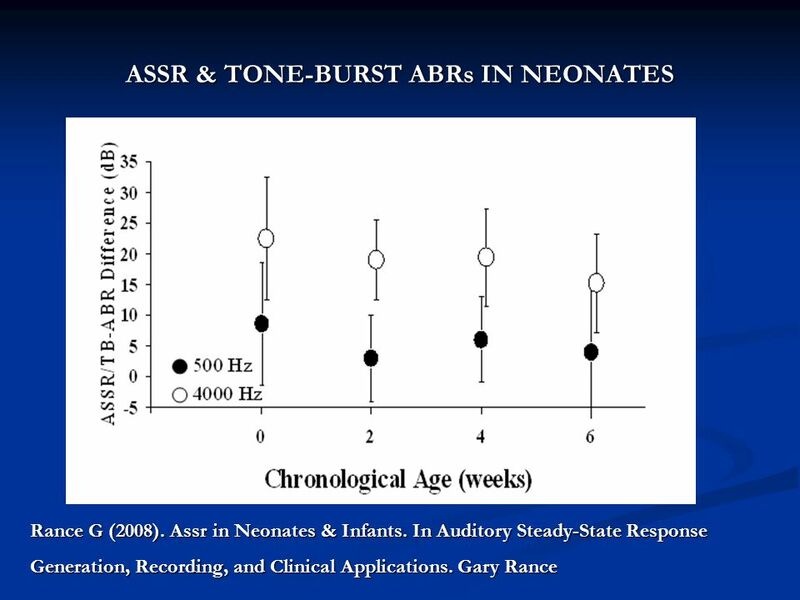 Need to considerer the different CAEP responses in infancy versus adults. 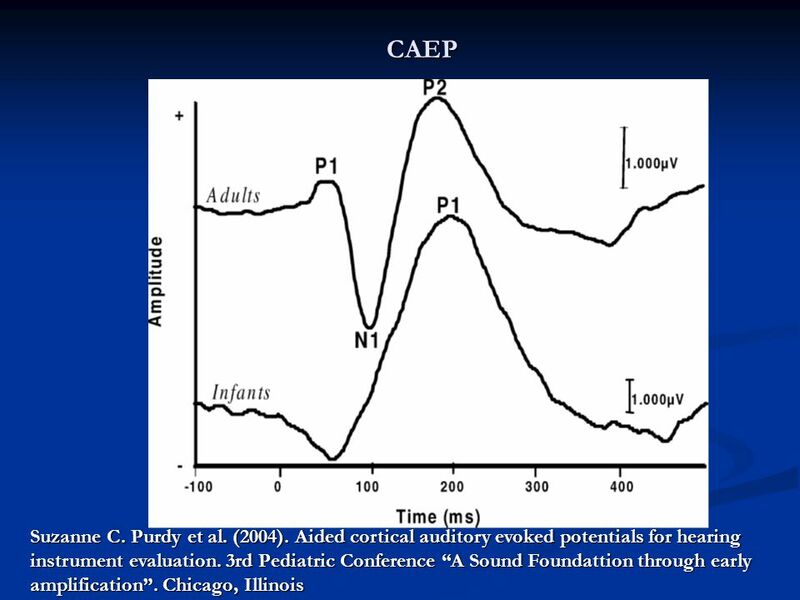 The maduration course of CAEP. Los efectos de la maduracion es un aspecto siempre a tener en cuenta para cualquier tipo de componentes.En esta diapositiva presentamos el proceso de maduracion de P300 potenciales cognitivos.En la diapositiva de la derecha se puede detectar la relacion curvilinea entre la latencia de la P300 y la edad se puede observar un floor effect a los 19/21 anos. 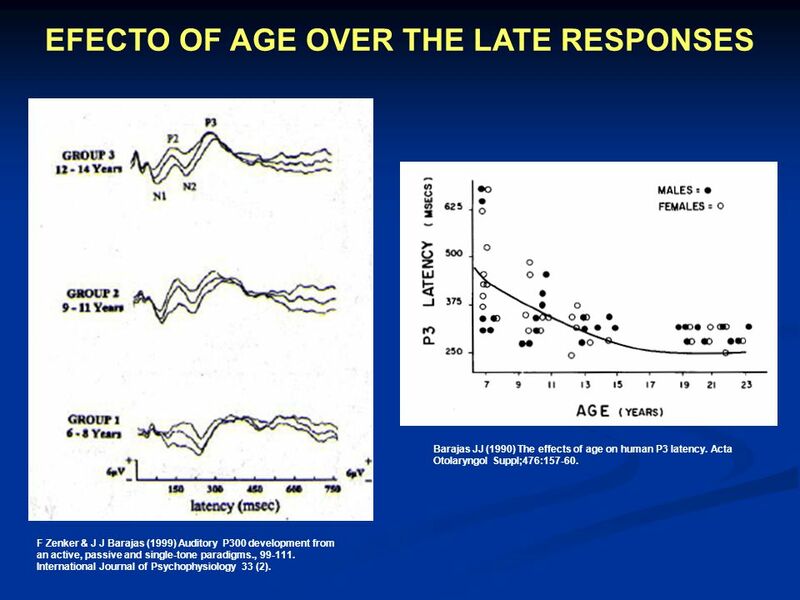 Barajas JJ (1990) The effects of age on human P3 latency. 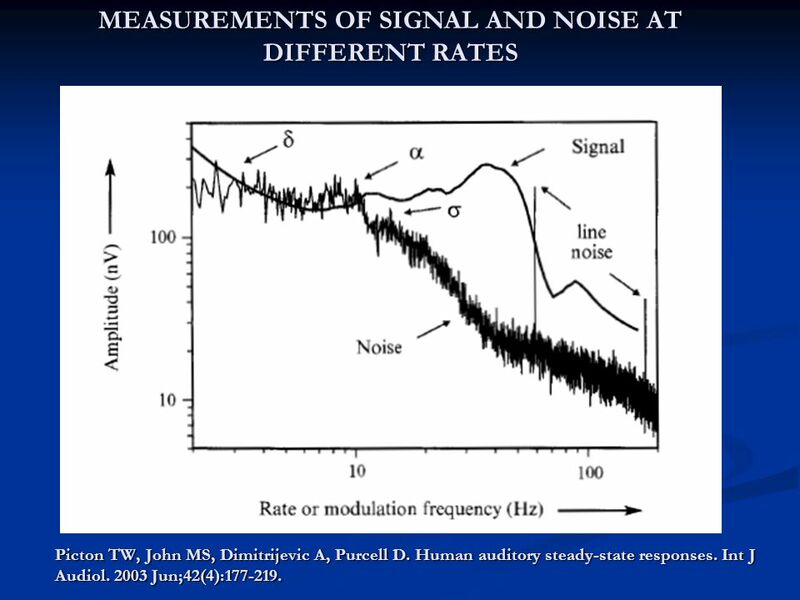 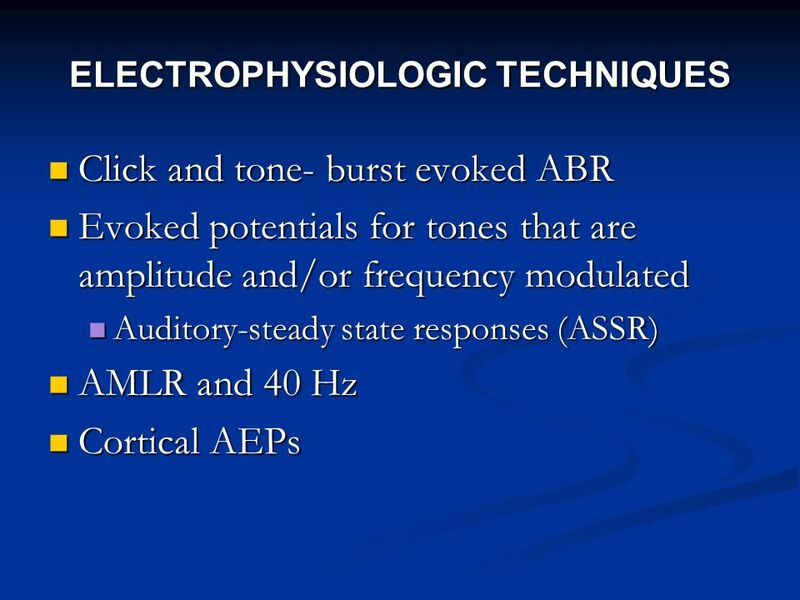 Acta Otolaryngol Suppl;476: F Zenker & J J Barajas (1999) Auditory P300 development from an active, passive and single-tone paradigms., International Journal of Psychophysiology 33 (2). 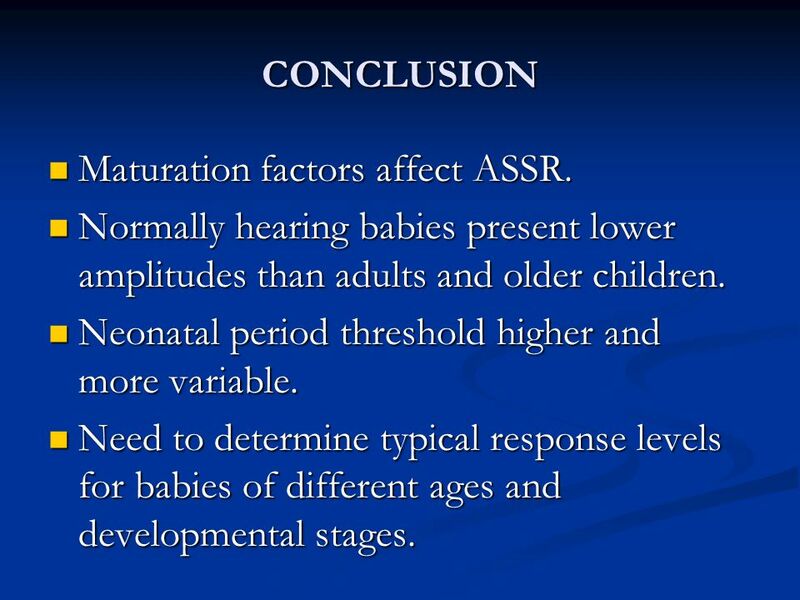 47 Maturation factors affect ASSR. 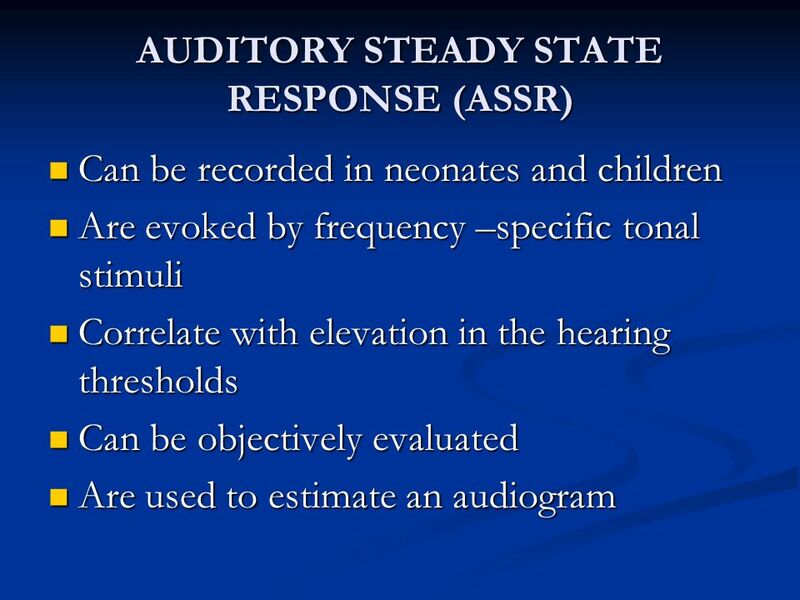 Download ppt "José Juan Barajas de Prat"
Audiological Management: What Everyone Needs to Know Antonia Brancia Maxon, Ph.D., CCC-A 1, 2 Kathleen Watts, M.A. 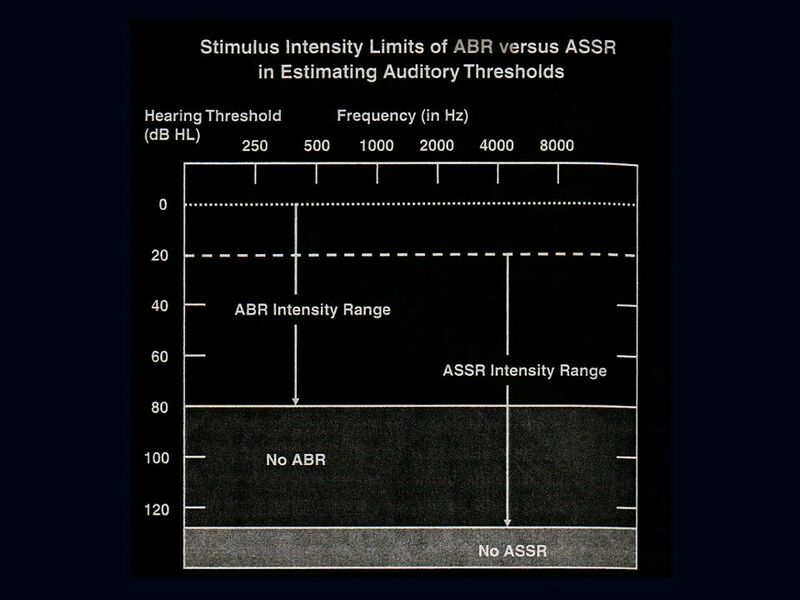 2 Karen M. Ditty, Au.D., CCC-A 2 1 New. 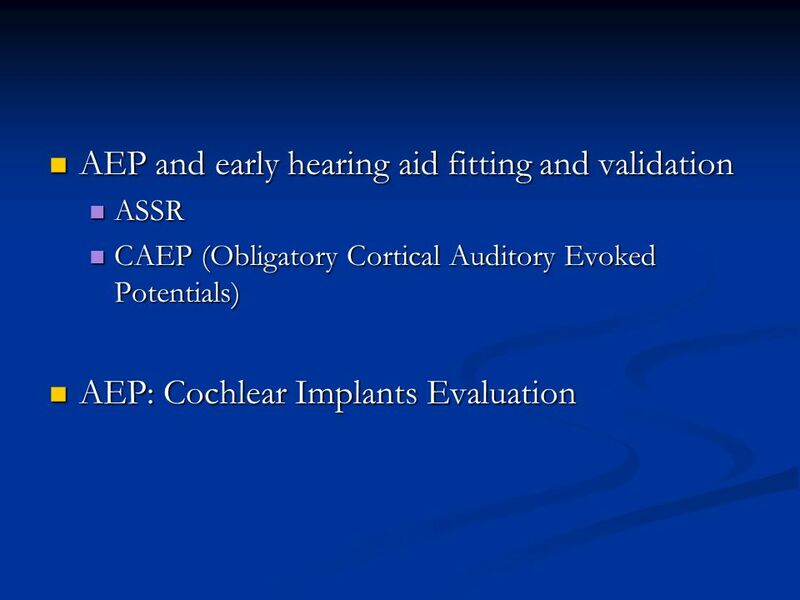 Introduction to Cochlear Implants for EI Service Providers Roxanne J. Aaron, MA, CCC-A, FAAA The Moog Center for Deaf Education March 2005. 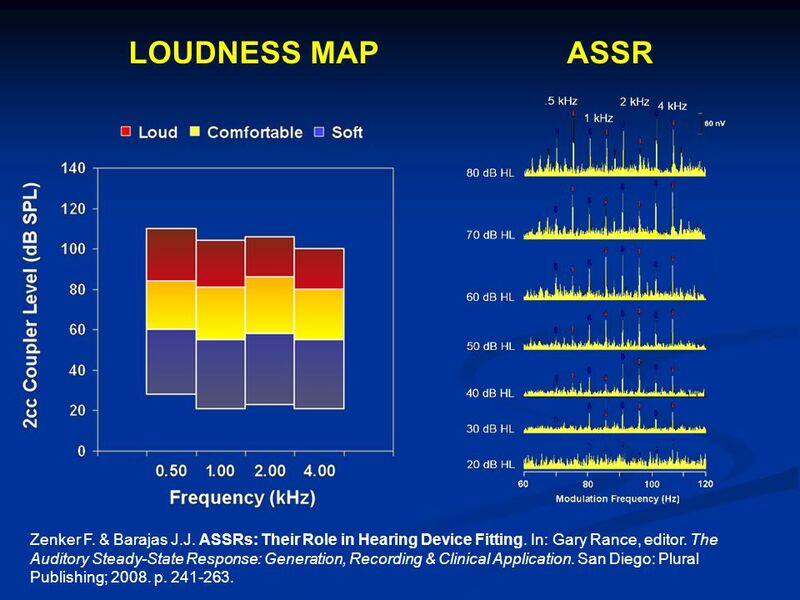 Frequency representation The ability to use the spectrum or the fine structure of sound to detect, discriminate, or identify sound. 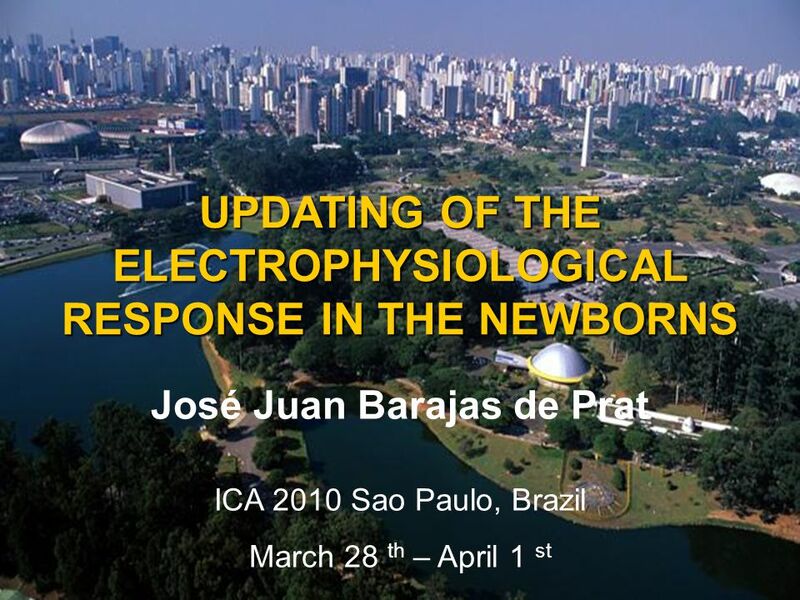 José Juan Barajas de Prat Clinica Barajas, Universidad de La Laguna, Fundación Dr. Barajas SANTA CRUZ DE TENERIFE - CANARY ISLANDS - SPAIN Universidad. 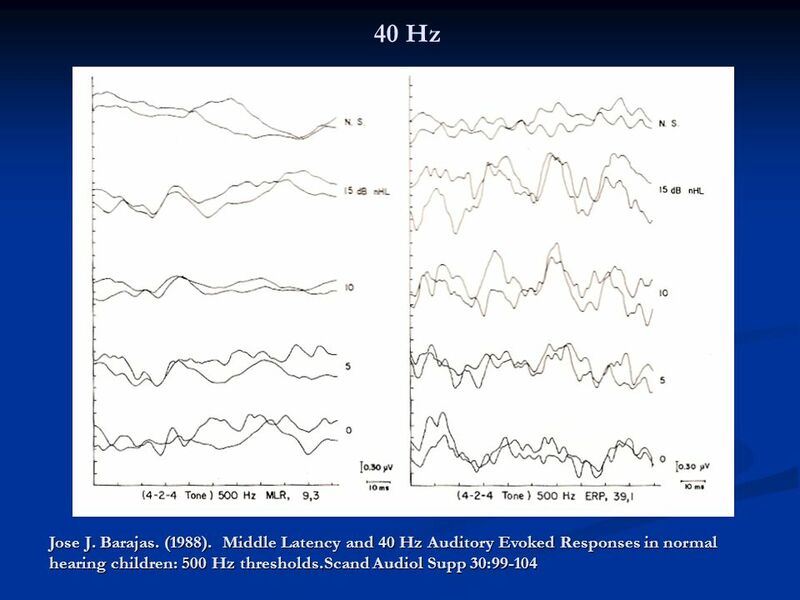 Early auditory novelty processing in humans: auditory brainstem and middle-latency responses Slabu L, Grimm S, Costa-Faidella J, Escera C.
Karen Iler Kirk PhD, Hearing Science, The University of Iowa –Speech perception & cochlear implants Professor, Dept. 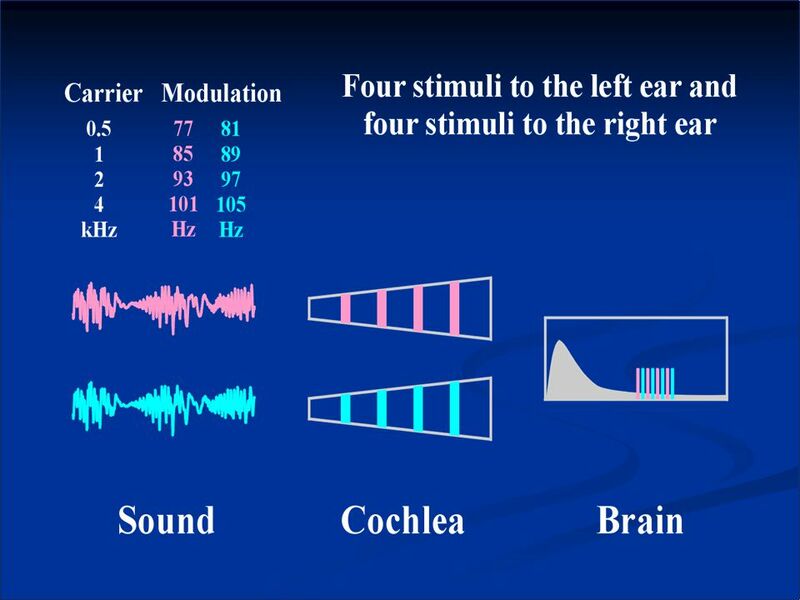 of Speech, Language and Hearing Sciences. 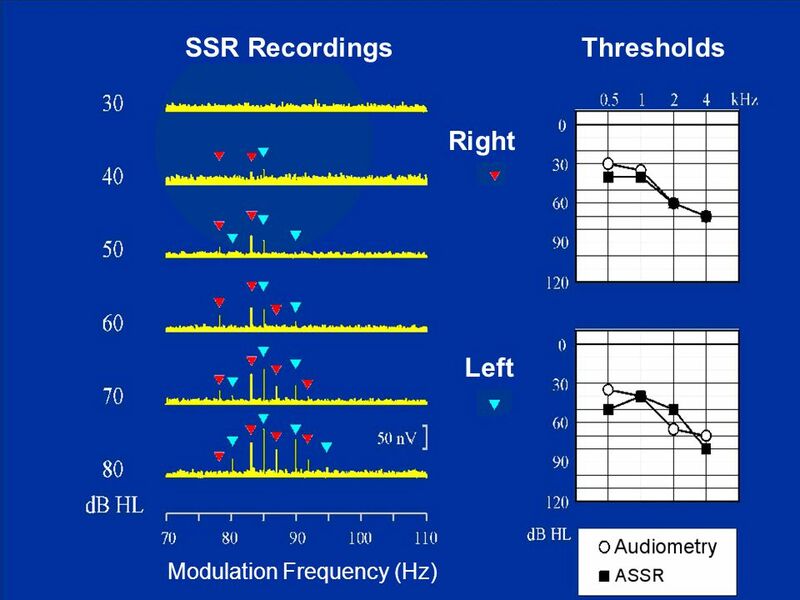 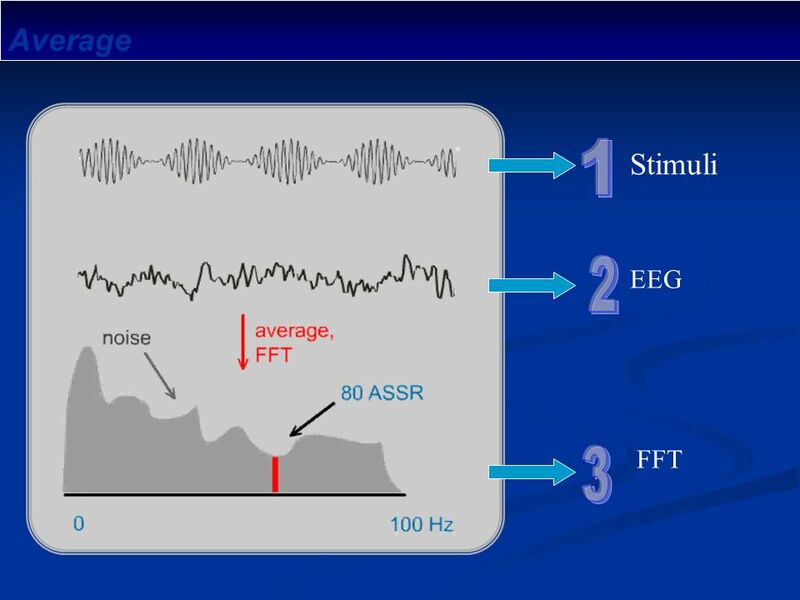 Auditory monitoring for preservation of the function of the auditory nerve Recording of auditory evoked potentials in operations in the posterior fossa. 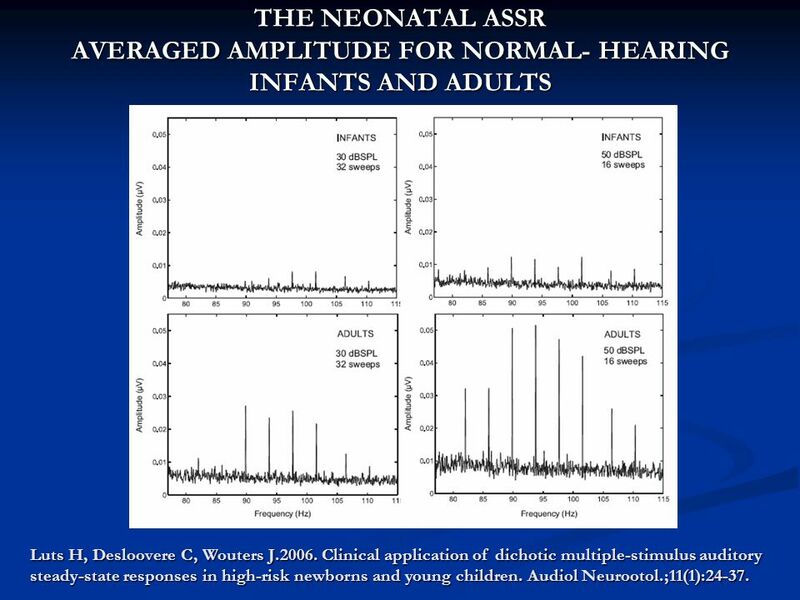 IAPA Summer School 2008 Neonatal Hearing Screening and Auditory Neuropathy Berlin, Germany April 10th and 11th UPDATING THE ELECTROPHYSIOLOGY IN NEONATAL. 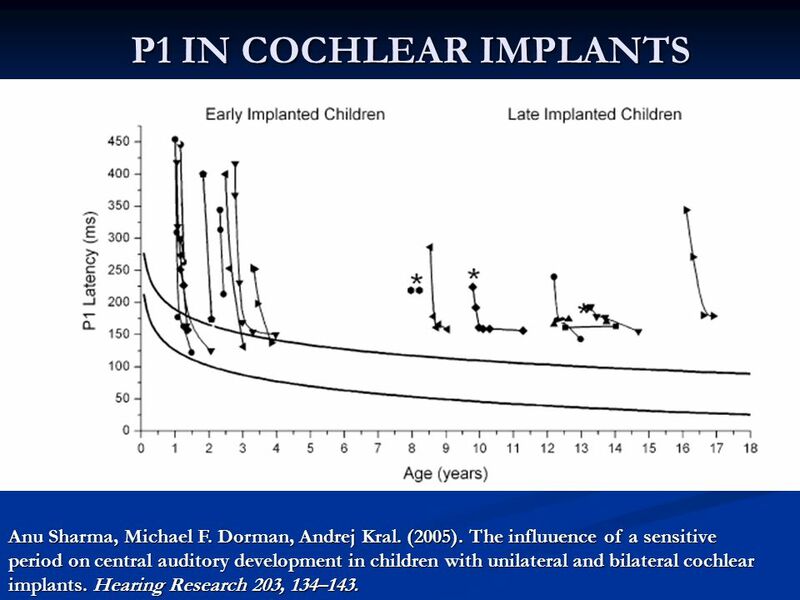 Pre-operative evaluation and post-operative rehabilitation for paediatric cochlear implantation Han Demin, M.D., Ph.D. Beijing Institute of Otolaryngology. 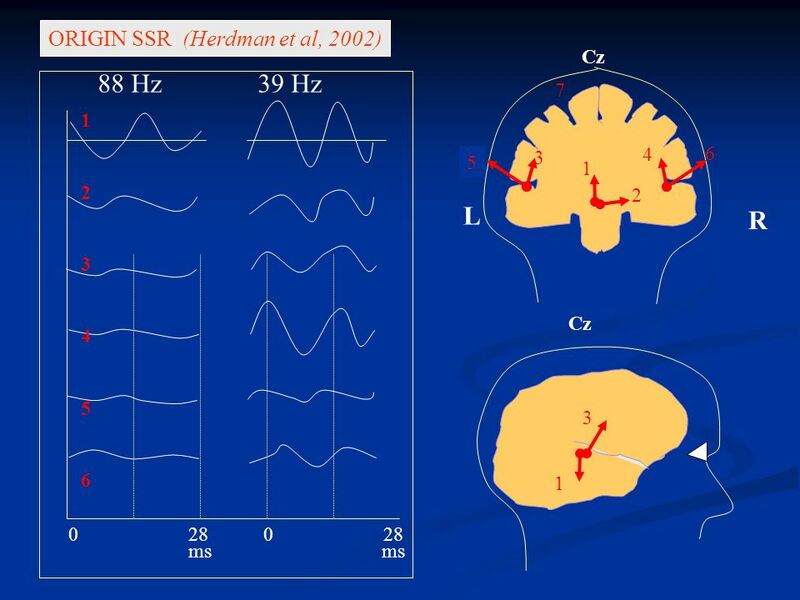 Temporal processing 2 Mechanisms responsible for developmental changes in temporal processing. 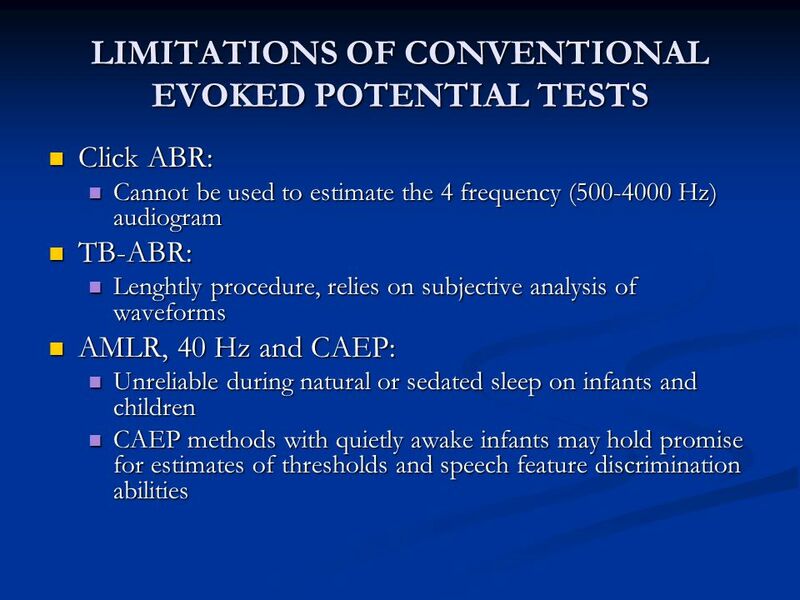 TOPIC 4 BEHAVIORAL ASSESSMENT MEASURES. 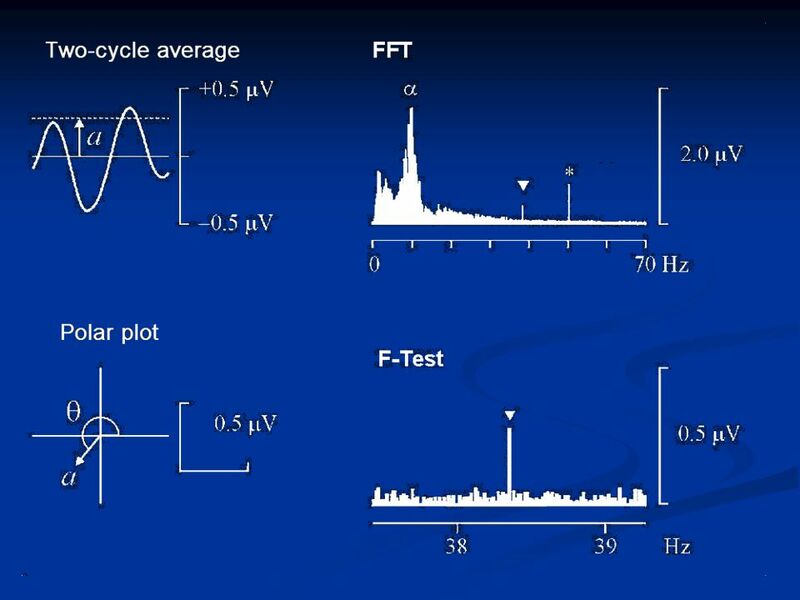 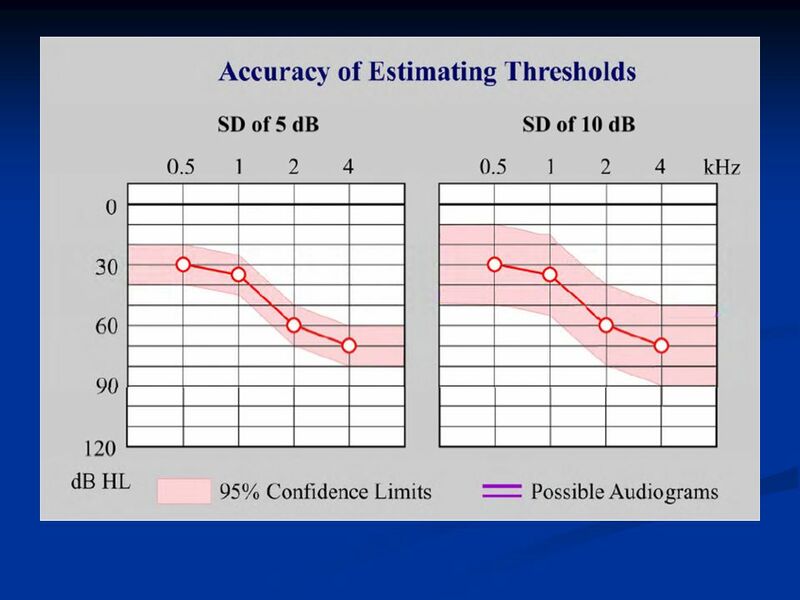 The Audiometer Types Clinical Screening.